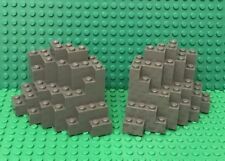 You are buying two Lego 4x12 Dark Stone Grey Plate bricks. These bricks are fresh from the box/bag and in mint condition. Lego X100 Pieces new Light Bluish Gray 2x2 Tiles,medium Stone Gray Smooth Surface Finishing bulk parts Lot. These are genuine real Lego parts and not cheap Chinese fakes. Lego X500 Pieces Light Bluish Gray 2x2 Tile Smooth Finishing New Bulk Parts Lot. These are in used condition and are in good shape considering they are 40 years old. Adult owned. 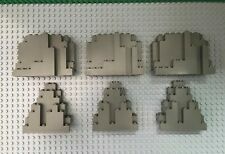 Lot of 5 lego 6 X 12 base plate New out of the set From smoke free pet free home Fast shipping. We do offer combine shipping to save your shipping fee. Messages me , I will fix for you . The ones i'm showing in the pictures are not the best ones we have. You are buying ten Lego 1x1 Light Bluish Grey Brick with Vertical Clip bricks. These bricks are fresh from the box/bag and in mint condition. Please see photos for condition. Theses are a little dusty from being stored. Thanks for looking! 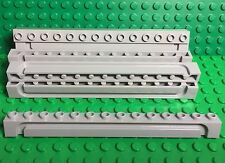 Lego Dark Bluish Gray Technic Brick 1x16 with Holes! 11 Lego Technic 1x16! Lego! 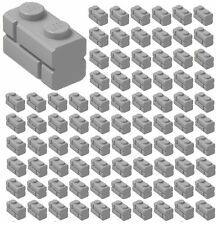 You will receive 11 Lego Dark Bluish Gray Technic Brick 1x16 with Holes from set 75932, Jurassic Park Velociraptor Chase. You will only receive the parts in the picture and no other pieces from the set. LEGO NEW BULK LOT OF X25 PIECES PEARL DARK GRAY PIRATES IMPERIAL SHIP SHOOTING CANNONS. 25 x Dark Bluish Gray1x1 tiles. These are Authentic Lego Parts!